Happy New Year! At midnight, a big group of friends ran with us outside, around the new house, banging pots and pans with wooden spoons, and whooping and hollering. It felt good. I can only hope your 2012 was rung in as exuberantly. 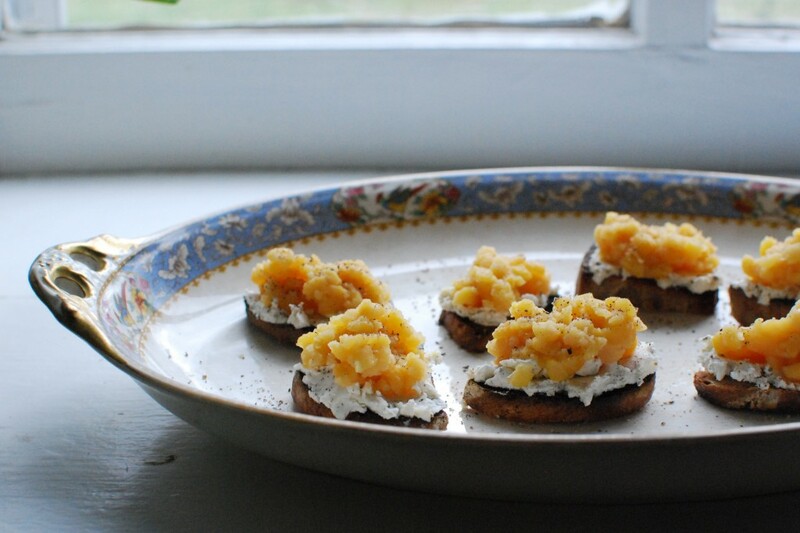 I’m hanging out over with Kelsey of the blog Happyolks with a recipe for goat cheese toasts with yellow split pea spread this week, with some thoughts about gathering. Go check it out, if you’re so inclined. You are currently browsing entries tagged with Chèvre at The Yellow House.